Happy Saturday, knitters! KnitPicks is on Week 47 of their Clean & Crafty Free Pattern series – that’s a ton of free dishcloth patterns! Any of these dishcloth patterns can be modded into a lapghan or larger blanket. 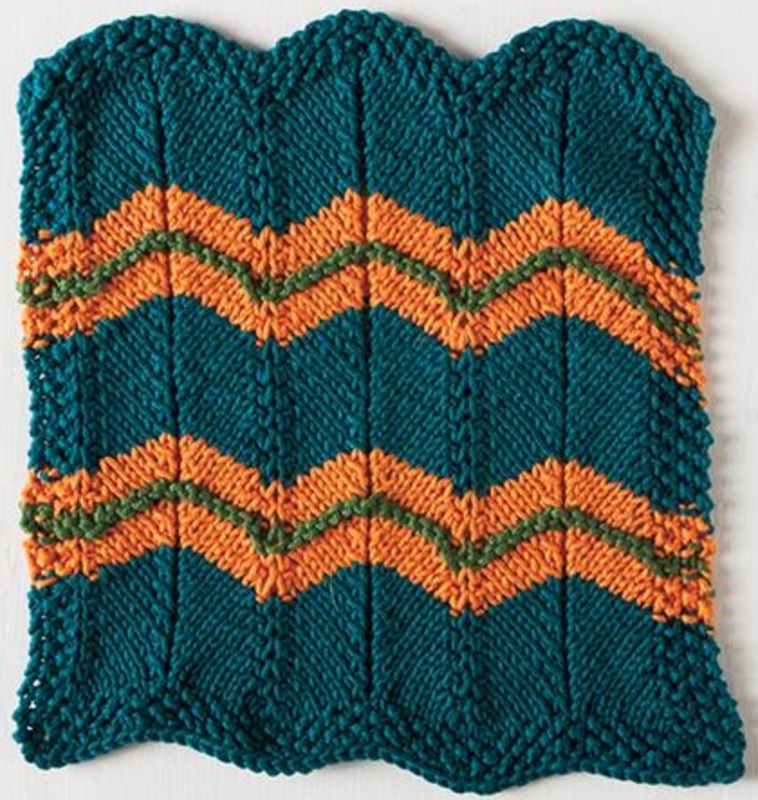 This week’s pattern features a chevron stitch, and is designed by Ann Weaver. The border is worked in a seed stitch. You can download all free Clean & Crafty dishcloth patterns here.